Schneck & Harley Immigration Law Group, LLP is the only Law Firm in Pittsburgh that exclusively focuses on the practice of Immigration Law and has experienced attorneys as Partners. Our mission is to provide affordable experienced representation and personal case handling to cost-conscious clients and businesses. We represent individuals and businesses in all areas of Immigration & Naturalization Law. Attorneys Kristen Schneck and Mark Harley are the Partners at our Immigration Law Group and together bring more than two decades of experience in the practice of Immigration Law. Our firm also provides representation to some indigent immigrants on a pro-bono basis. In addition to serving the Greater Pittsburgh / Western Pennsylvania area, we also provide immigration legal service for clients in the North Central / North Eastern PA regions. We have offices in Pittsburgh, PA and Muncy, PA. We are fluent in multiple languages. Partner Attorney Schneck has been exclusively practicing Immigration Law in Pittsburgh and Williamsport for over a decade and has further years of experience as a practicing attorney. Raised in Muncy, PA, Attorney Schneck has a small town ethos which drives her motivation and passion in helping our immigration clients to achieve the American Dream. Having spent time living and studying abroad in Ecuador, Mexico, and Hungary, Attorney Schneck has an understanding of the cultural differences and hardships that immigrants uniquely face. Married to a former immigrant/recently naturalized U.S. citizen, she has personally sat in the position of the family members of her immigration clients. She frequently gives lectures in Immigration Law & provides advisory services for Criminal Defense & General Practice Attorneys. She also makes appearances on live Television on panels as as Immigration Law Expert. She is currently serving as the 2016-2017 AILA-Pittsburgh Chapter Chair. Partner Attorney Harley has been exclusively practicing Immigration Law in Pittsburgh for over a decade. He has a unique understanding of how to handle the most complex of immigration issues having served as a constituent service representative for a Member of Congress assisting individuals with immigration concerns. 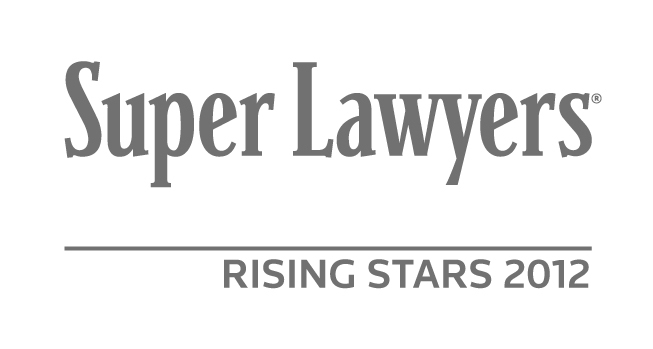 Attorney Harley has been recognized by his peers as a Super Lawyers Rising Star in Immigration Law in multiple years. He has served as the AILA-Pittsburgh Chapter Chair in the past. Their background has shaped our immigration attorneys to be the type of honest, hardworking, compassionate Immigration Attorneys that you would want to represent you. We pride ourselves in providing affordable services including translation and notary services. Click here to see our customer testimonials and learn why you should select our law firm to be Your Immigration Partner. We have more followers on Facebook, Twitter and Google Plus than all other immigration firms in Pennsylvania combined. Our Law Firm is very active in the community and in supporting International Cultural, Sporting and Educational events. Example of events we have supported in the past include an Indian Diwali Event, the Dormont Green Business Blitz program, the Pittsburgh Riverhounds (Soccer) Latino Heritage Night, the Pittsburgh Banshees team (Gaelic Football) and the Pittsburgh Gaelic Athletic Association's Golf Outing event. If you are an organizer of an international cultural, sporting or educational event in the Pittsburgh or Williamsport areas, please contact us for sponsorship.